A showcase for girl group Weki Meki’s latest EP “Lucky” will be broadcast live on Naver’s V app at 8 p.m. Wednesday. Weki Meki debuted in August as an 8-member act consisting of Choi Yoo-jung, Kim Do-yeon, Ji Su-yeon, Elly, Sei, Lua, Rina and Lucy. 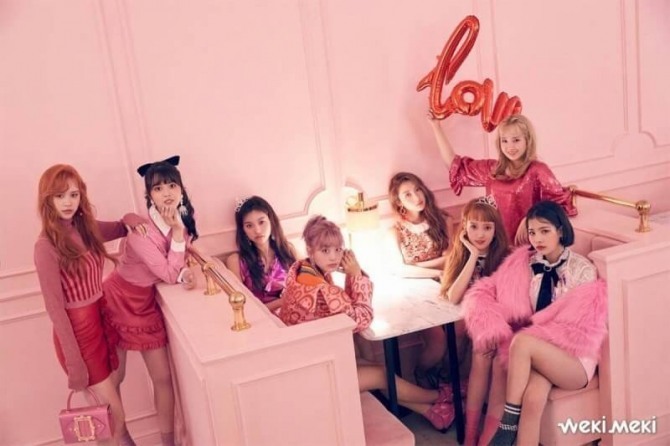 The group already enjoyed media attention even before its debut as Choi and Kim appeared on Mnet’s survival audition show “Produce 101” and previously debuted as members of the project girl group I.O.I, which disbanded last year after its 1-year contract expired.